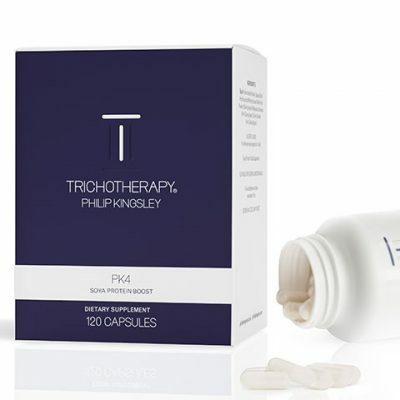 The Tricho Complex was created at the Philip Kingsley Trichological Clinic and contains iron, biotin, copper, vitamins C, B12 & D3, pantothenic acid, selenium and L-lysine. It’s fantastic for anyone who wants to achieve their overall best hair quality. 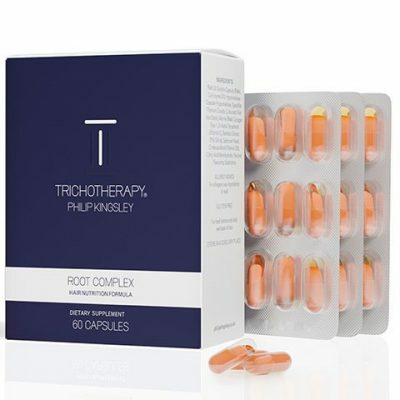 Root Complex is a powerhouse multivitamin and omega-3 supplement for those who hope to achieve hair health from the inside out, and contains omega 3, silica, vitamin D3, vitamin E and antioxidants. 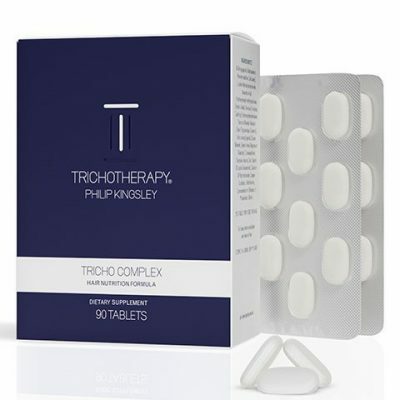 The genius patent-pending delivery system is a pill contained within a pill: an inner capsule of dry ingredients lies suspended in an outer encasing of oil ingredients, ensuring superior absorption of nutrients for best effect. PK4 Soya Protein Boost is a soya protein nutritional supplement fortified with amino acids, which are the building blocks of hair. Since protein is so essential to optimum hair growth and quality, PK4 infuses hair follicles with a concentrated protein boost. This is particularly useful for those who are on a low-protein diet. The Biotin Boost is ideal for improving hair strength and overall resiliency. 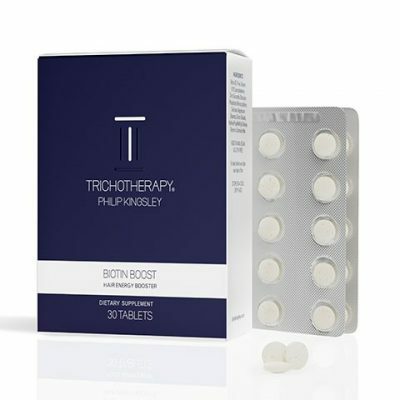 It contains the essential components of Biotin (Vitamin H), Zinc, and Vitamin B12, which are prescribed in the Philip Kingsley Trichological Clinics on a daily basis. It’s perfect for anyone who wants to have stronger strands and is also highly recommended for those who have a low protein diet. These supplements are suitable for vegans, vegetarians, and those who are gluten free.